As a wedding photographer, one of the main things I have to be tuned into is the light and the colour palette of the day and post-process images in such a way as to accentuate the tones to give a rich, lustrous look to them. 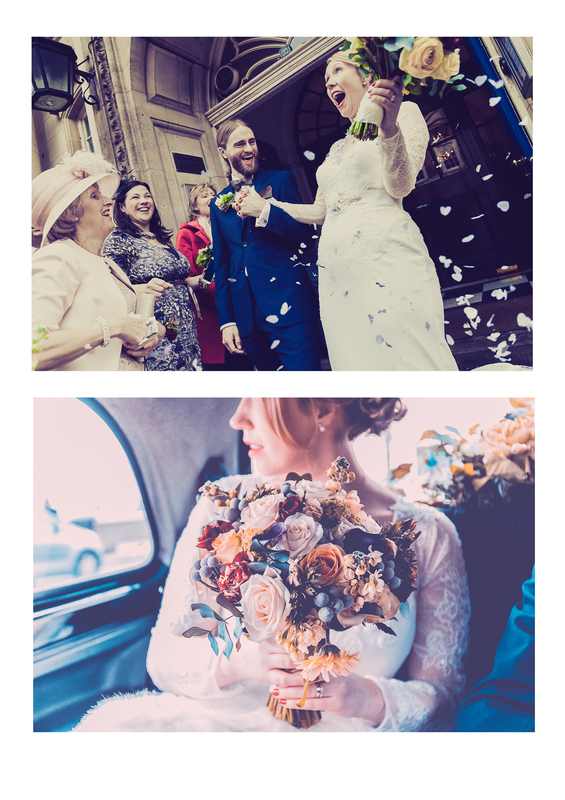 Sarah and Ben got married at Old Chelsea Town Hall in London on a crisp February Saturday morning. Sarah’s bouquet and Ben’s suit had a rich, sophisticated colour range and I tried to bring these out in how I developed the pictures. A professional wedding photographer should always post process images in a way that compliments the look and feel the couple themselves wanted to create for their special day.